Goddess Durga is the Hindu deity who is considered as one with the extreme power to annihilate evil. She is the fiercest form of the protective Mother Goddess, ready to unleash her rage against evil and violence for liberation and the empowerment of creation. 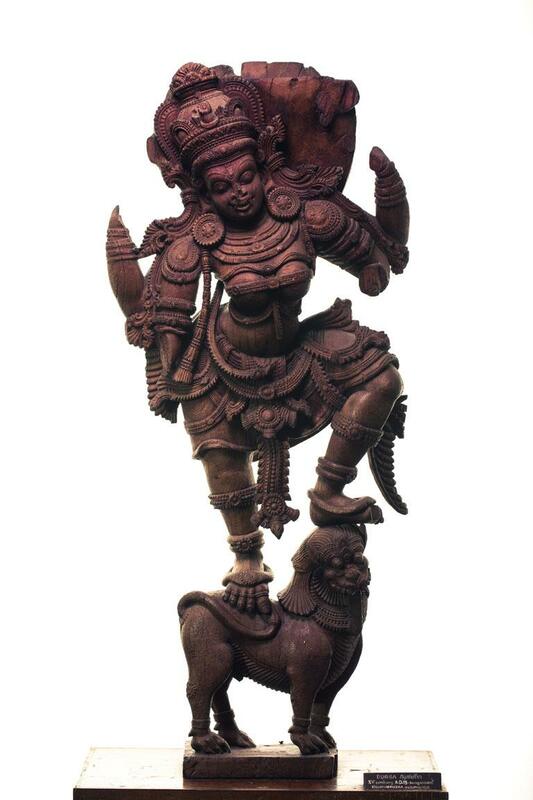 The sculpture is a four handed Durga standing on a simha (lion). The exhibit is fully ornamented. The left leg is placed on the head of the lion and the right leg is on its back.